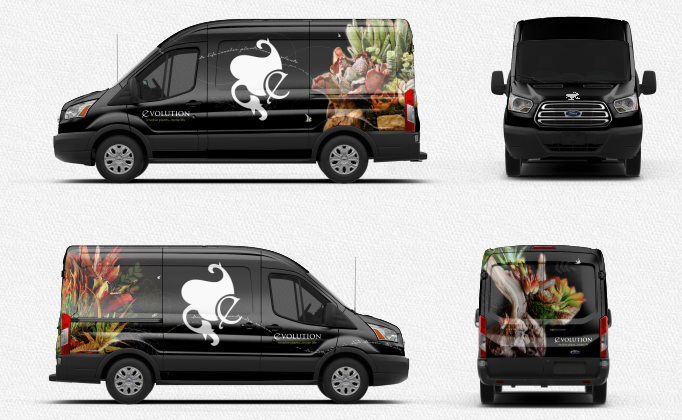 How to wrap a professional vehicle - new client project. 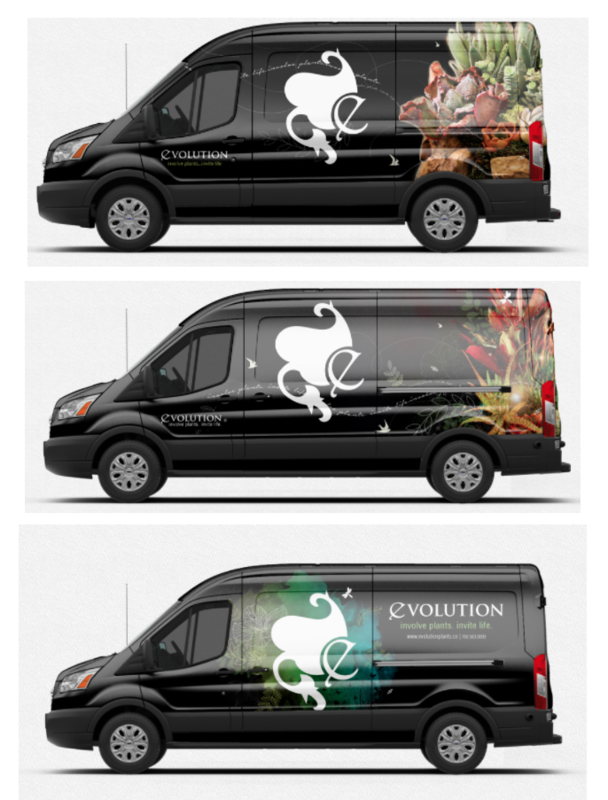 I want to take you through my process of creating a professional vehicle wrap from design to print ready files. - brings up new ideas - “hmmm we should really look into an electric car…etc." - discounts/offers that inspire action, etc. 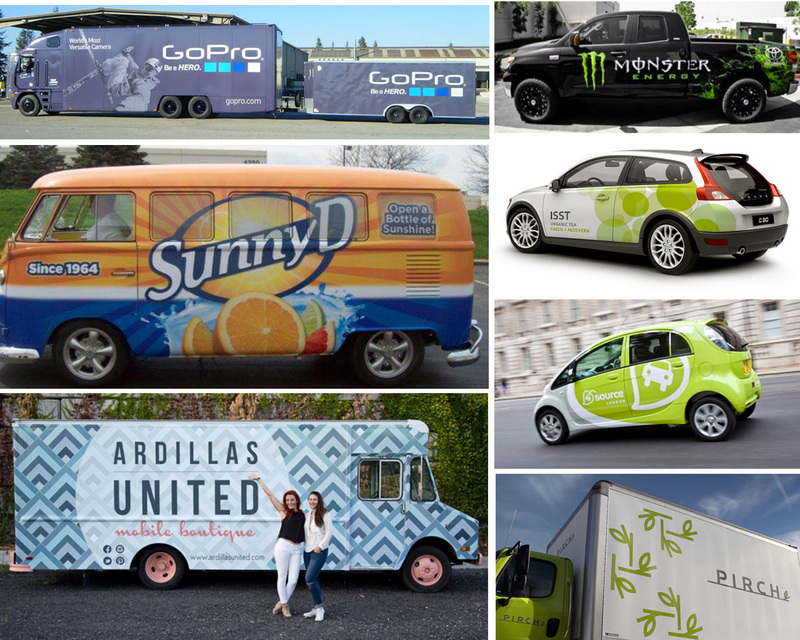 This vehicle wrap will be an extension of their marketing and current customer touch-points, all using their current brand guidelines- so review their current site, collateral, and other graphics. This might be a chance for you to shine and show them what their brand can look like with a new streamlined layout. 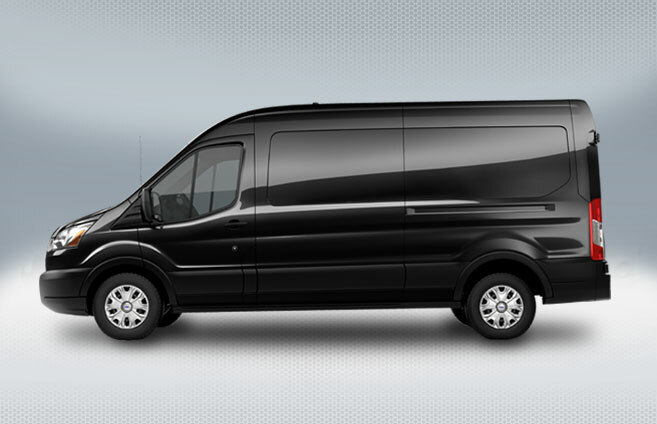 Understand the size constraints and printing specs before you start laying out your vehicle template. You may or may not be involved in finding the actual printer- some clients already have their own vendors. So when using their print vendor - ask for their printing specs. When choosing a printer for your client- it probably will be based upon price so shop around- or quality- either way make sure you see examples of their current work and ask about any details necessary to maximize your design and client needs. I like to ask about printing needs before I get started so when I gather content from the client or start my own designs I know what size resolution to use. I also personally believe you should try and stick to clean vector based graphics so the design is scalable and will not pixelate unless the client has professionally taken photos. Make sure you know where the vehicle’s seams, doors, windows and breaking points are in the vehicle before you layout your design comps. BEFORE - wide open canvas! People do not read, so a tagline contact info and/or website URL- thats it! 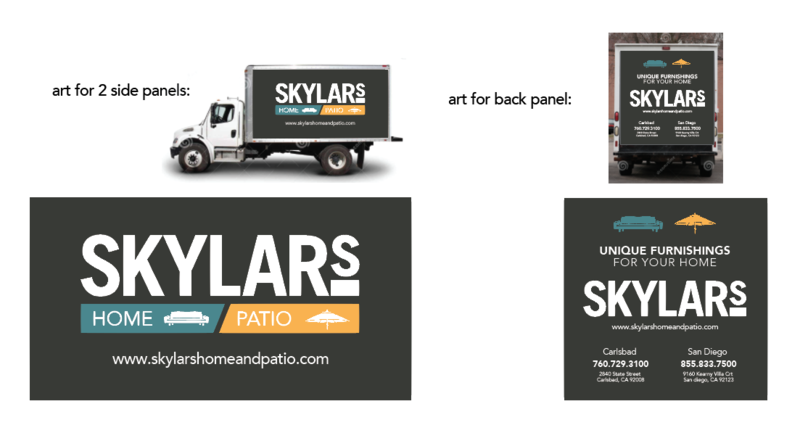 Client: Skylar’s Home and Patio | A home and patio furniture store that combines great customer service with a creative take on the Southern California home lifestyle. They were growing and it was time to elevate their brand to the level and vision of their owner. 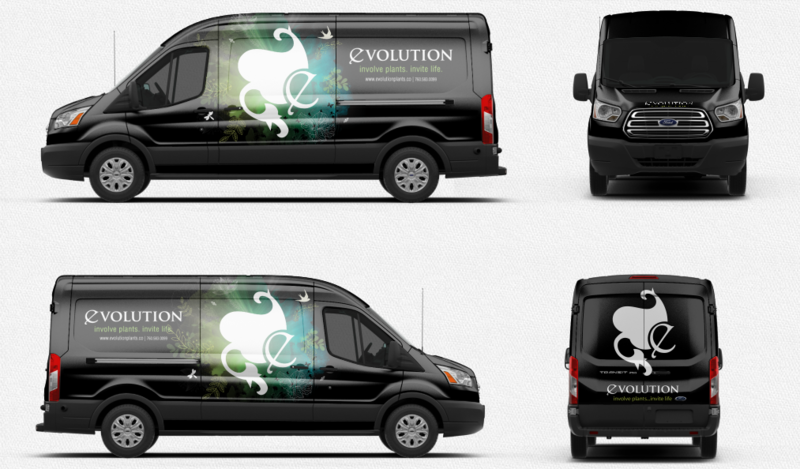 We did a complete rebrand - making sure every touchpoint of their brand and identity was executed with consistency. Have your client sign off on the artwork- (maybe another given but has to be said) make sure all website URL’s are correct, phone numbers and no mis spelled words! Your client will miss things and even though its not your fault if they sign off and approve- its MORE professional if your work was checked FIRST by you, because ultimately you should always have your clients back. And either way it DOES look bad on you in the end. 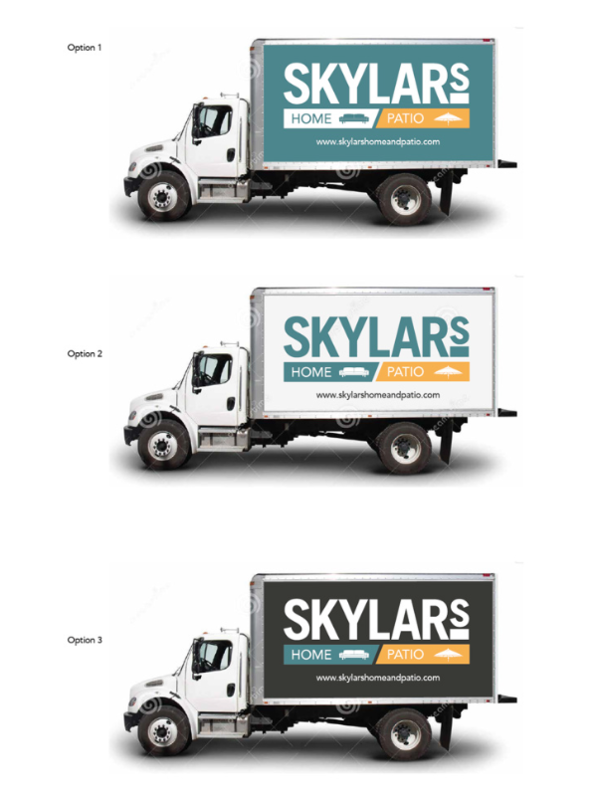 One way to create the design to scale is to use 1:10 ratio - For example the Skylar’s logo below was all vector so I scaled it down to the correct ratio and the printer said he would adjust as needed. I also made sure to show them how the final truck looked so they matched it. Add bleeds according to printer’s specs - I personally would layout each file in panels (if that was good for the printer) For example, not one long wrap but driver side panel, passenger side panel, back, front, etc. 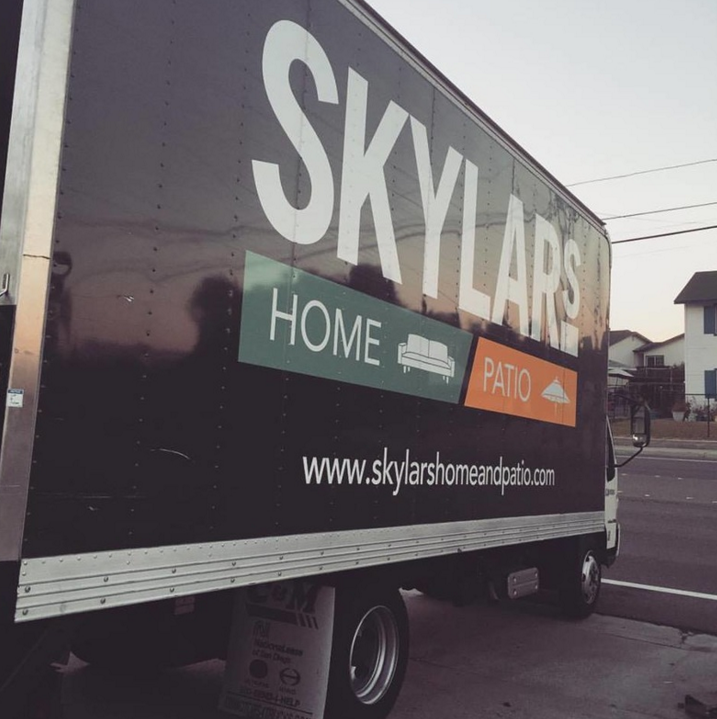 Always follow up with your client after final delivery - they usually are super happy when they see their logo nice and big from a project well executed. When you do follow up, always ask if there is anything more you can do to help promote their brand. Finally, keep a copy of your artwork along with an image of the real deal for further promotions and portfolio needs.